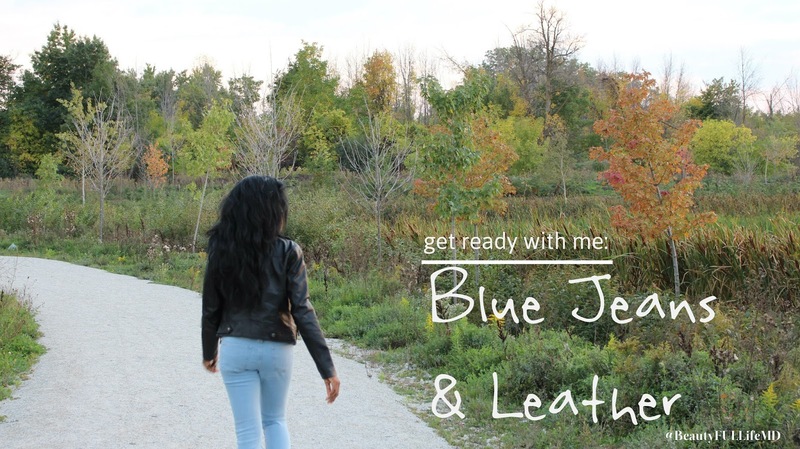 Fall is in full effect and being that it’s my favourite season, I think it’s a good time to kick off my Get Ready With Me series. I’m going to try to be as consistent as possible with it, at least once a month, maybe more if I have time! I really wanted to get started with this outfit I pulled together for a concert I went to with my sister. The weather here in Toronto is getting chillier by the day and this particular day started out pleasant enough but by the time we left the show, my jacket was all zipped up! For my makeup, I kept it pretty simple. Actually, it was so easy to create. I used only two eyeshadows, both from Colourpop and mascara and liner. I was going to only use the darker shade (Central Perk), but I also wanted a bit of a pop of highlight on my eye’s inner corners (LaLa). I used only my fingertips to do it (as recommended when you use the supershock shadows). For my lips I used a lot of products because it didn’t really go as I planned. 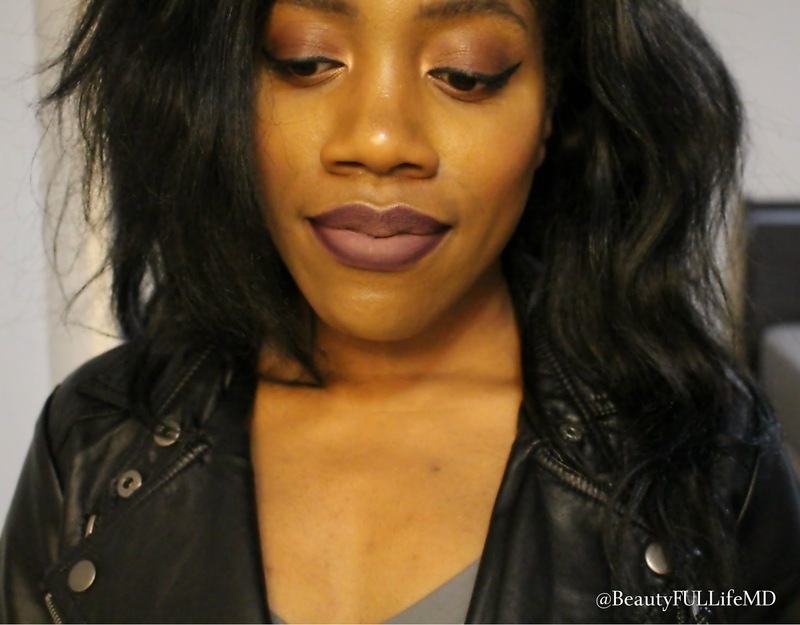 I used MAC lipliner in Nightmoth and then NYX Soft Matte Lipcream in Transylvania on the outside. 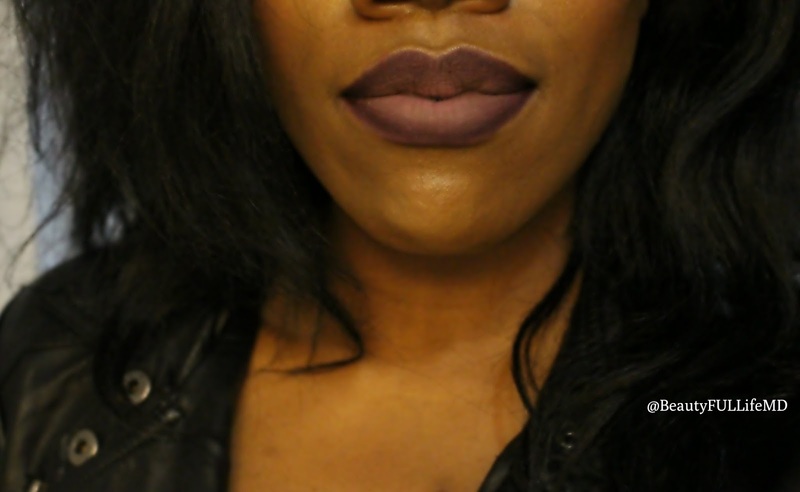 I created an ombre effect by using Colourpop Ultra Matte Lip in Kapow in just the middle. I felt like it needed more, so I added Lumiere 2 in the middle as well and blended the colours with my fingertip. I used a soft pink blush from BHcosmetics and a touch of highlight from my MakeupGeek xKathleen Lights Highlight Palette in both Starlight and Nightlight. That’s pretty much it for the makeup. If you read my previous post about my ‘Favourite Fall Makeup’ you’ll notice that a lot of the products made it into this look! As for my outfit, I wanted to go with something super comfortable, but definitely still cute. I started by knowing I wanted to wear this faux leather jacket I got from Urban Planet. I paired that with a light wash pair of jeans which I rolled up a bit from H&M. 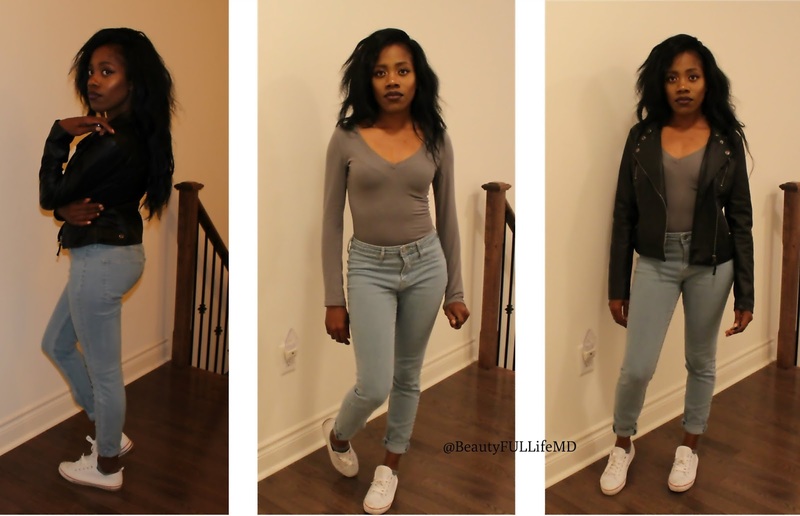 Blue jeans and Leather are a classic pairing that will never go out of style and work for fall, summer and spring. It could work for winter too, if it weren’t so darn cold! Under the jacket I went with a plain gray long sleeved, v-neck tee from Sirens. I wanted to be warm, but be able to cool down if it got too hot at the show. Finally, I just added some imitation white converse sneakers which I also bought from Urban Planet to pull it all together. By the way. We went to see an artist by the name of Ta-Ku. It was so much fun, and I also enjoyed all the other acts that were there as well (which I didn’t know about, so it was a nice surprise!). Check him out if you like chill music.